Before there was LinkedIn, there was Dun & Bradstreet. In the pre-social media age, companies that needed to verify their business contacts would rely on the Millburn, New Jersey-based commercial database firm, which has compiled more than 250 million global business records and is updated five million times a day. 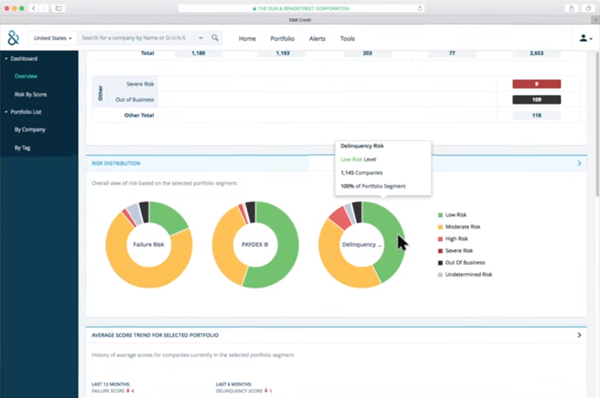 Now D&B is bringing that wealth of data online, launching D&B Credit, a cloud-based analytics platform that allows CFOs and finance departments in any industry to perform risk assessments and credit checks by drawing on the company’s substantial pool of financial information. Using a clean, easily navigated interface that alternately resembles an e-mail inbox and WordPress dashboard, D&B Credit allows users to search the D&B database for specific companies, add them to a personal portfolio, and use tags to divide them into categories. 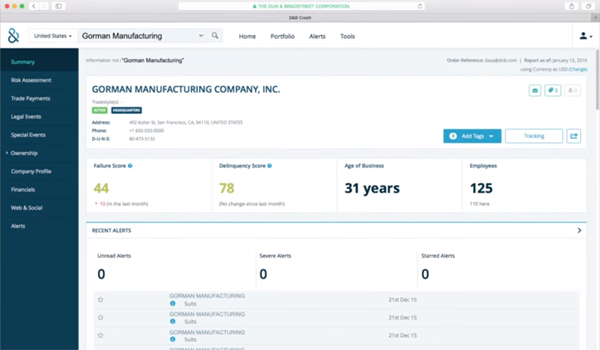 Each company listed in D&B’s database features its own dashboard highlighting such information as the company’s age, the number of employees, and its failure and delinquency scores, which are assigned by D&B. The program also includes customization tools that allow financial experts to highlight the most relevant information for their less fiscally-savvy colleagues. 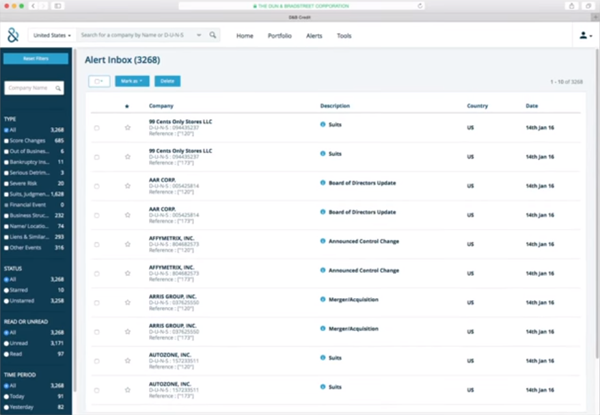 “Our customers have finance teams that range from a single person to hundreds of people, and these teams need to be able to make dynamic decisions based on deep, rich data that help them drive their business forward,” Peirez said. More importantly, D&B simply makes observing, analyzing, and comparing the value of multiple companies a much easier proposition. “The ability to drill down, to look at the businesses that make up each of those segments is a very powerful way of uncovering untapped opportunity, but also uncovering risk that the business didn’t otherwise know about,” he added.